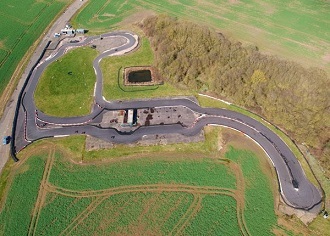 Set between Scunthorpe and Lincoln lies Gainsborough and the UK's latest outdoor kart circuit. At 600 metres it's a decent size for event the enthusiastic racer and in addition there is a 300 metre track for the youngsters. It's Lincolnshire so don't expect any gradients but the design has been well thought out so will provide some interesting racing. The venue has 4 specific cadet/junior karts.